Whether you’re a well-seasoned doctor looking to grow your practice or a successful surgical group looking to maximize your impact, chances are you’ve realized your current marketing strategy isn’t working the way you’d like. If you’re spending thousands of dollars on advertising without seeing a profitable return or if you’re doing well, but think you could do better, you’ve come to the right place. 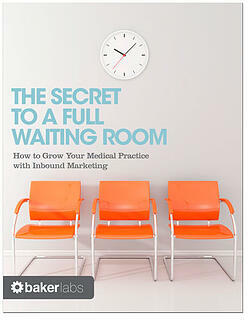 We have a solution that will solve your marketing problems and keep your waiting room at capacity. Why has traditional marketing lost its effectiveness? How can my website turn visitors into new patients? How can I use social media to grow patient-to-patient referrals? How can I build strong patient relationships profitably? If you’re interested in learning more about how you can make the most of your marketing budget, track your results, and serve more patients, fill out the form on this page to download our secrets for free!